Built around a tidal river, some 20 km from Moreton Bay, Brisbane often floods, usually in conjunction with La Niña events bringing heavy wet conditions and cyclonic activity across the state. 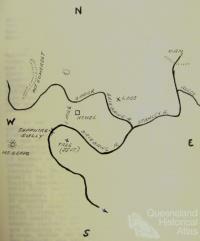 ‘Surviving the river’ has subsequently become an integral part of the city’s history and people’s experience of living in Brisbane. In the aftermath of floods, communities have pulled together while governments have sometimes rallied behind ambitious schemes aimed at modifying, controlling and predicting the river. Brisbane may experience a variety of different floods throughout the year. Flash flooding in creeks is not uncommon and results from high rainfall over the Brisbane metropolitan area. Because the Brisbane River is tidal, storm surges may contribute to flood particularly if it coincides with a high tide. River floods are less frequent though potentially more damaging. Following heavy rainfall across the catchment, water may remain above flood height for several days causing extensive backwater flooding along smaller tributaries such as the Bremer River and Oxley Creek. Throughout Brisbane’s history, flood has repeatedly brought challenges and demanded response, however, they have also continued to raise important questions regarding settlement of the floodplain, where the persistent threat of flood has often been ignored and the lessons of the past easily forgotten. From its urban beginnings as a penal outpost, by the late nineteenth century Brisbane had developed into a major city. As a conduit for the colony’s exports, the river remained boon for the Queensland capital. But it was a fraught relationship. 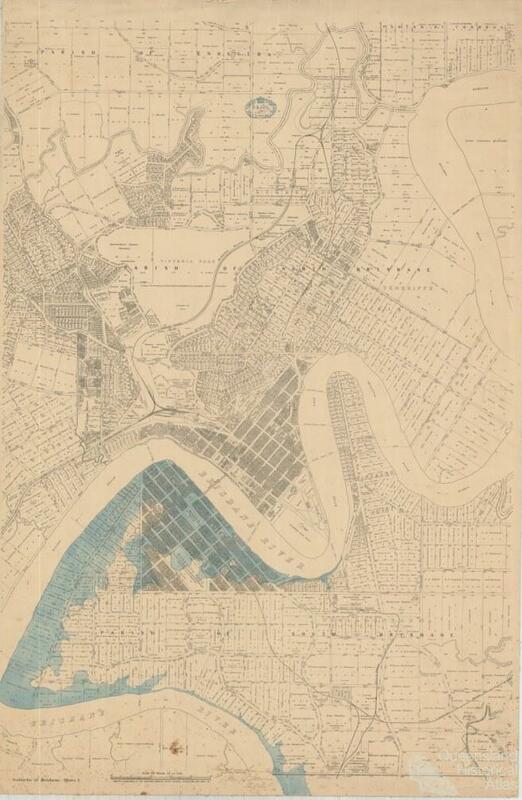 Development of the flood plain accompanied Brisbane’s rise and by the late 1880s a major a collision was imminent as the Brisbane Valley entered an unusually wet cycle. Low lying areas were inundated in 1887 and 1889 followed by a larger flood in 1890. Those who thought they had seen the last of this extreme weather were mistaken. Peaking over 30 feet at the post office gauge, the February 1893 floods eclipsed this by around three metres. The ‘Great Flood’ as it is often called, was not a single event, rather, it consisted of three peaks in the river over the course of February 1893 followed by a smaller flood in June. Rain started falling over Brisbane on the 29January, and continued the rest of the week. The waters rose slowly at first and by the Tuesday lower parts of the city were submerged. This was only the beginning. The next day, unprecedented downpours in the upper catchment caused a surge in the river. Two days later, large parts of the city were invaded and the Indooroopilly rail bridge destroyed. The next day the Victoria Bridge succumbed. After a brief reprieve, flood waters returned less than a week later followed by another major peak around 19 February. 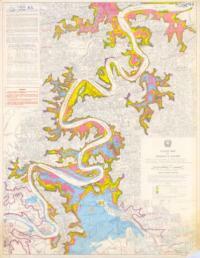 Based on historical accounts, Henderson had compiled a detailed diagram of flood heights since 1841. It was probably the first time any comprehensive and comparative analysis had been made. Following careful cross examination of his sources, Henderson discovered that a flood in 1841 was over two inches higher than in 1893. 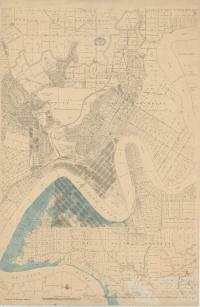 But the significance of the 1841 flood was no doubt diminished because Brisbane was a relatively small ‘target’. Its height was also probably exaggerated because the river was closer to its natural state. The river was shallower, narrower and had a large sand bar across its mouth. Dense vegetation crowding the floodplain would have also obstructed floodwaters, causing them to bank up. 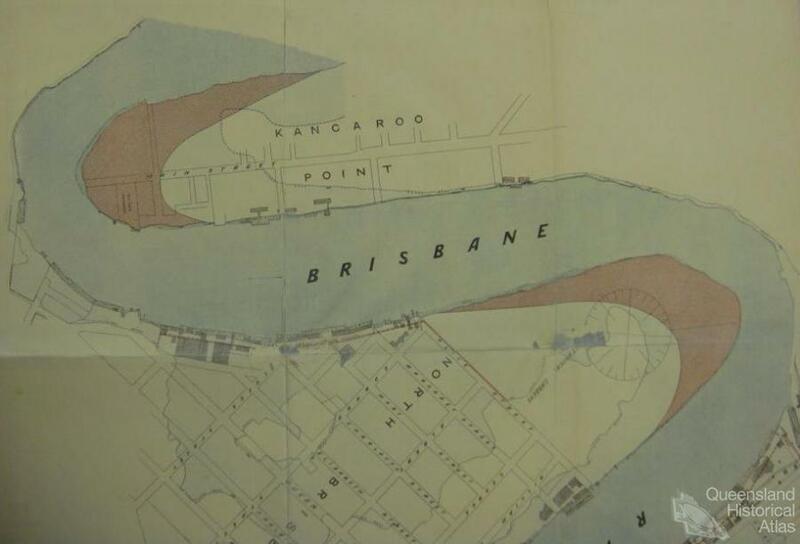 After the 1893 floods, one mile either side along the Brisbane River had been reserved and in his report Henderson cautioned against building ‘on low-lying flooded lands’ including any ‘structures that would retard the flow of flood waters.’ This was of course in anticipation for future mitigation schemes. Due to the recent floods, land prices were low and the government could have acquired land cheaply. Had this been purchased or retained, future headaches could have been avoided as well as having more public spaces along the river. Henderson commented on a variety of ambitious schemes including building a series of dams, levees as well as canals from Oxley and Yeronga which could divert floodwaters directly into Moreton Bay at the mouth of Tingalpa Creek. These were all considered either impractical or beyond the financial means of the government. In addition to purchasing the land necessary, canals would disrupt the tidal flow of the Brisbane River and require constant dredging. Levees would exacerbate downstream flooding. There was also the risk that they may breach. 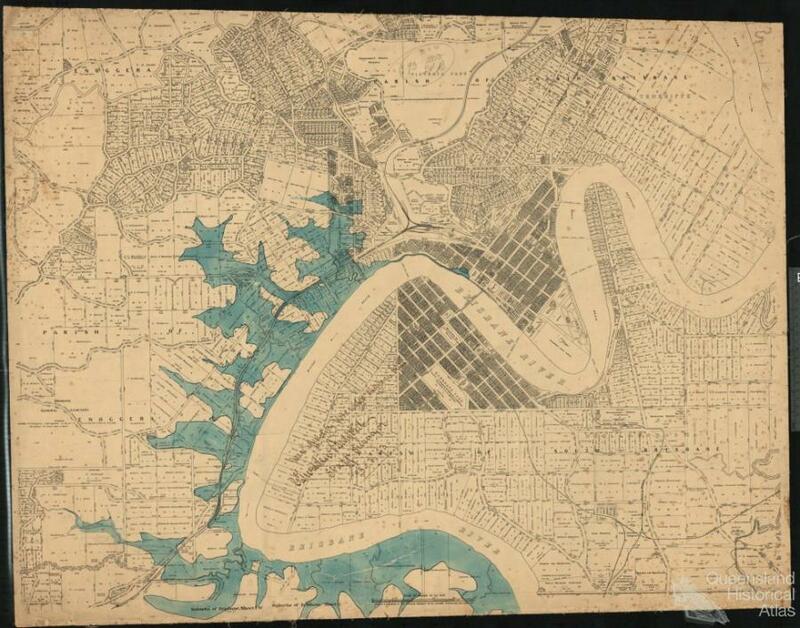 Henderson opined that the Brisbane Valley lacked suitable sites for large reservoirs which could hold back volumes equal to that of the 1893 floods. Furthermore, at a cost of least £8,000,000, irrespective of its size, a dam could not provide total protection. In the event of more flooding, as occurred in February 1893, water would have to be released whereby the officer in charge would be ‘greatly blamed’ for the inevitable destruction downstream. After careful consideration Henderson recommended three major flood mitigation schemes: ‘A’, ‘B’, and ‘C’. Scheme ‘A’ proposed deepening and widening the channel by cutting off the Corners of Garden, Kangaroo, New Farm, Norris and Bulimba Points. 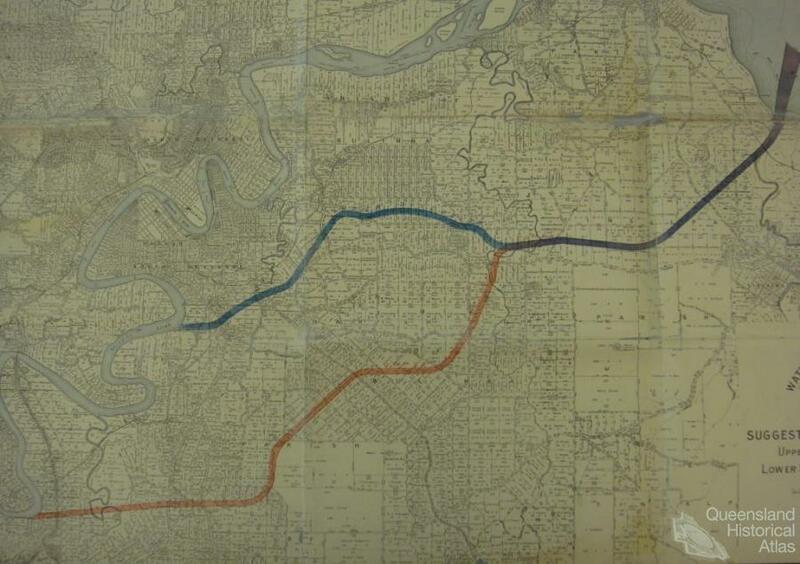 Scheme ‘B’ put forward a short cut through Kangaroo Point and New Farm while scheme ‘C’ proposed dredging and deepening the channel. A forth scheme, ‘D’, would complement the first by building retaining walls, behind which dredged material would be placed thus raising the surface. 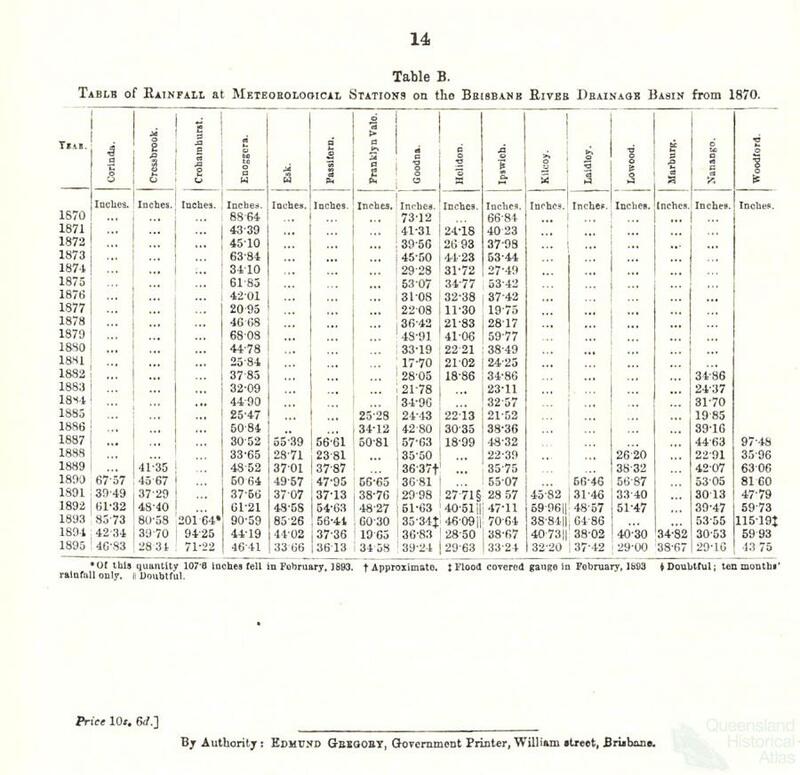 While it was never implemented, according to Henderson’s calculations, scheme ‘B’, cutting through Kangaroo Point and New Farm, would have reduced the 1893 flood to a level equal to about one foot over the floor of the Queen’s Hotel. It would have also left two unusual islands in the middle of the Brisbane River. Please warn inhabitants Brisbane, Goodna, Ipswich, Lowood, other centres, of tremendous flood, eighteen ninety level already exceeded several feet. Stanley River only, Brisbane to follow. At the time there was no direct telegraph line to Brisbane and the message had to be repeated from Ipswich. As no formal procedure was in place, the warning was either misinterpreted or ignored. Only a copy of the telegram was posted outside the office of the general post master. After the flood, eyes were ‘apparently opened’ but the telegraph lines were now down between Esk and Ipswich and roughly beyond Goodna. 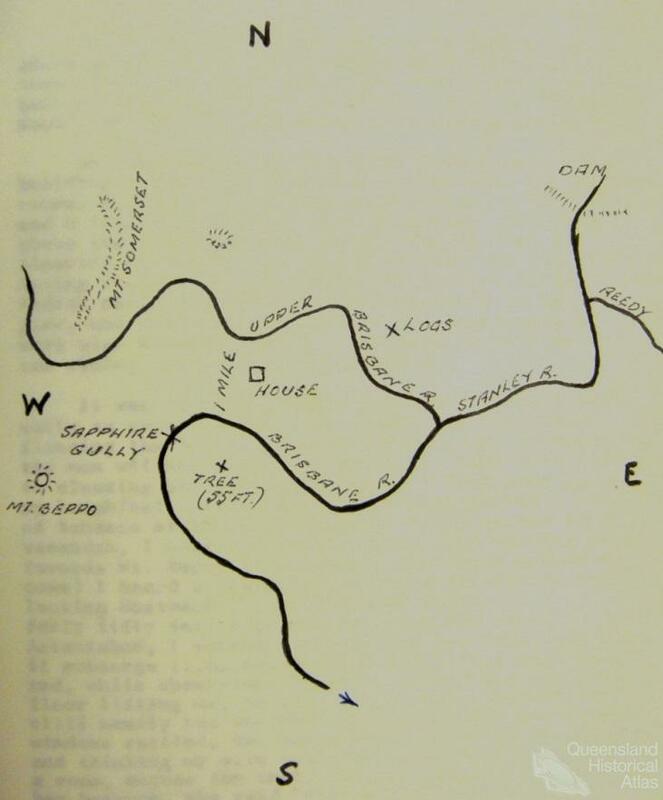 When the second major peak occurred, Somerset rowed across the swollen Brisbane River with two horses to send a ‘good game stockman’ named Billy Mateer to North Pine where the warning was received. Brisbane’s first monitoring station was later established at Caboonbah which, as his ‘civic duty’, Somerset offered to operated free of change. Linked by telegraph, other stations were established throughout the Brisbane Valley at Goodna, Ipswich, Lowood, Browns Crossing, Rosewood, Gatton and Harrisville. The entire system was tested in the wet season of 1896. While dams could not guarantee that another major flood would not occur, a sufficiently large and strategically placed dam did offer the benefits of water storage and some flood protection. A few years after the construction of Lake Manchester on Cabbage Tree Creek in 1916, Brisbane’s growing population once more began to outstrip its water supply highlighting the need for another large dam. In 1931, a moderate flood further pushed the case for a dam and, following an investigation, the government eventually passed the Bureau of Industry Acts, 1932 to 1934, authorising the construction of a dam on the Stanley River with would provide both water storage and flood mitigation. During those Depression years, when governments sought to sponsor productive works, the act also included plans to build the Story Bridge at Kangaroo Point. Approval for both was given on the 27 September 1934, and the Queensland government entered an agreement with the Queensland Cement and Lime Co Ltd, for the supply of 55,000 tons of cement: 13,000 for the Story Bridge and the remainder for the dam. The dam which would purportedly make Brisbane safer was aptly named after H.P. Somerset who, familiar with the geography of the upper catchment, had suggested the site to the Water Board in 1906. Construction of the dam commenced in 1935 but was delayed for the duration of World War II. There were already high hopes before the dam was complete. Following cyclonic rainfall in March 1955, Somerset had its ‘most severe’ trial. According to the report of the Coordinator-General of Public Works, the dam functioned with ‘complete success’. The spillway was overtopped for the first time and all eight spillway crest gates and two low level sluice gates operated for the first time. 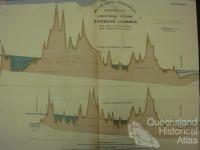 Due to Somerset, a flood ‘potentially more severe than any since 1898’ was reduced to one which caused negligible damage in Brisbane. In addition to the safety provided by the new dam, improvements in weather forecasting and flood prediction were made. By 1957, the Australian Bureau of Meteorology began developing a modern flood forecasting system for the Brisbane catchment. 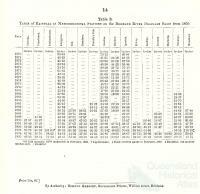 By 1966, a method had been devised providing scientific forecasts of flood level and time of peak occurrence at three sites along the lower river: the Brisbane Port Office, Darra and Ipswich. Excluding episodes of flash flooding, Brisbane had experienced only minor river floods after Somerset was built. But the lack of any major flood was not down to Somerset alone. Brisbane was still at risk, particularly as the mistakes of the past were repeated. After World War II, the council had allowed residential development of the floodplain to continue and those with no living memory of major flood, often had unrealistic expectations of Somerset’s capacity to protect the city. The Australia Day floods of 1974 dispelled this illusion. The main weather system which caused the floods was ‘Cyclone Wanda’ which crossed north of the Sunshine Coast on Thursday 24 January. Flooding began in the upper Stanley catchment followed by major flooding in the upper Brisbane, Bremer River and Lockyer Creeks. Heavy rainfall over Brisbane caused flash flooding in Kedron Brook and the Moggill, Enoggera and Oxley Creeks. On the Sunday of the Australia Day weekend, the Brisbane River rose progressively. In association with the high tide, the river peaked at just over six and a half metres at the Port Office gauge early Tuesday morning. It was the largest flood recorded in the twentieth century. 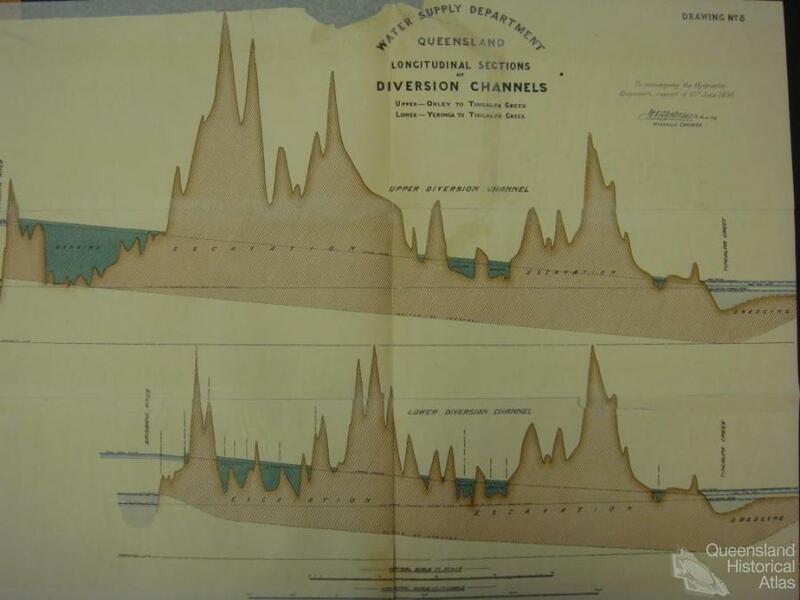 The following month, the Survey Office compiled a map of the floods shown as a red line twisting along the banks of the river and occasionally invading low lying zones. 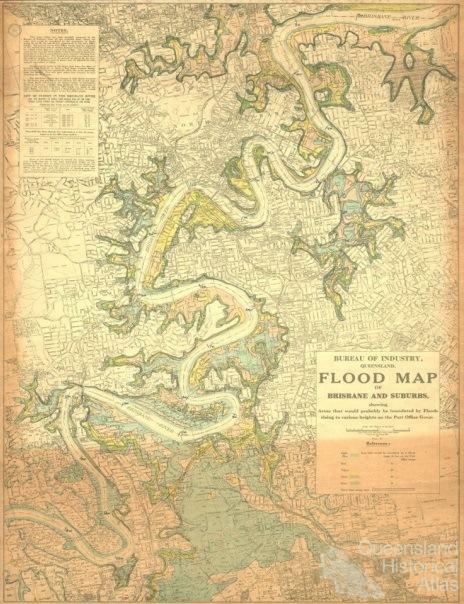 Based on a map produced in 1933, included were ‘areas of probable inundation’ where, according to various flood scenarios, different parts of the city were shaded blue, pink, yellow, green and plum. No doubt the mix of colours gave the map an alluring appeal. In March 1974, the Minister of Lands and Forestry, Mr Rae, was asked by the Labor member, Mr Bousen, if there were any means that a copy of the ‘excellent’ flood maps could be ‘permanently and prominently’ displayed in each real estate office as to warn prospective buyers. Mr Rae thought it was a good idea. Those in the real estate industry probably disagreed. The aftermath of the flood sparked heated political debate. Speaking to a committee of experts in February, Premier Joh Bjelke-Petersen stated that it was pointless to ‘ascribe blame’ as ‘non-one is blameless’ and instead called for only ‘constructive’ criticism. But in the turbulent times of the Bjelke-Petersen era, while seeking to make sense of the disaster, people would inevitably look for someone to point the finger at. Land developers were labelled ‘villains’ by the political Left while insurance companies were censured for not providing adequate cover. The City Council was criticised for reckless planning. The slow distribution of flood relief was another issue as was, perhaps unfairly, the performance of the Bureau of Meteorology. The Premier also came under fire. While professing it would make no difference, his decision not to declare a ‘state of emergency’ as he had done for the 1971 Springbok tour, led to cynical innuendo that his government found political demonstrations more dangerous than a natural disaster which killed 14 people and caused $200 million damage. 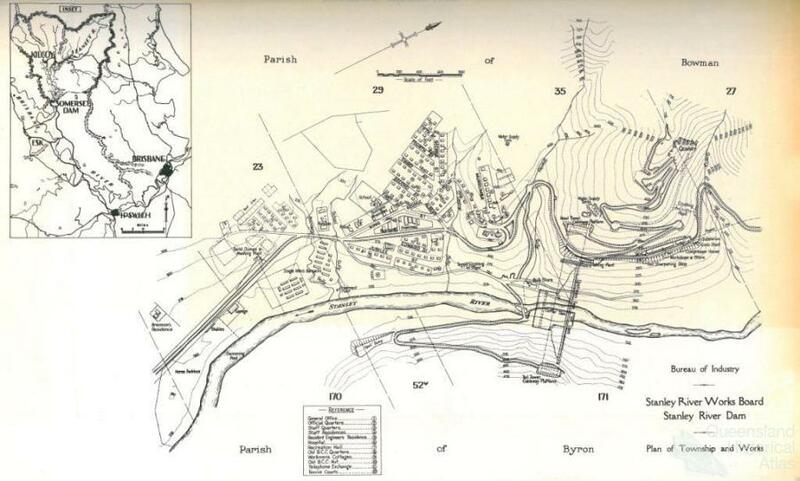 By the mid-1960s, the need for a larger water supply and greater flood protection had already been recognised and developed into plans to build a dam at Wivenhoe. Approval was provided in 1971 and the acquisition of land commenced in March 1973. Below the junction of the Stanley and Brisbane Rivers, it was estimated that Wivenhoe would have reduced the January 1974 floods by around two metres. Like Somerset, Wivenhoe demonstrated its flood mitigation capacity early. After heavy falls in June 1983, the upper Brisbane reached almost 1974 levels. Although still under construction with gates still to be installed, the main embankment was able to store all water from the upper Brisbane as well as water which had to be released from Somerset. 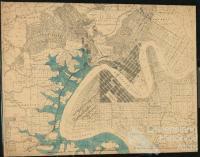 This reportedly ‘saved’ Brisbane and Ipswich from a flood which would have inundated low lying suburbs. When one sees houses built in these areas, one says, “We did not learn much of a lesson from the 1893 flood.” Of course, the generation now on will not learn any lesson from the 1974 flood, either. If flood does not occur for another 40 years and there is vacant land in the Brisbane area and people are looking for housing allotments, the Brisbane City Council will say, “No, you are not allowed to build on that because it was flooded 40 years ago.” But the pressure will be such that the council will have to release the land. People will say, “It happened 40 years ago. It will not happen again.” It will happen again, in spite of the dams that are built in the meantime. Almost forty years since those words were spoken in parliament, on 11 January 2011, the Brisbane River once again broke its banks. It was a stark reminder of Brisbane’s vulnerable location on the floodplain of a sometimes violent and volatile river. Reminiscent of previous floods, the Brisbane 2011 floods followed a similar pattern of extreme weather. In 2010, vast areas of regional Queensland had been flooded. At the start of January, the Fitzroy inundated Rockhampton. Two days before the Brisbane floods, Toowoomba was hit by deadly flash flooding described in the media as an ‘inland tsunami’. The Brisbane River peaked at 4.46 metres invading low lying areas, homes, garages as well as the underground parking lots of apartments and high rises. The bridges held firm but several ferry terminals were destroyed while the river walkway from Story Bridge to New Farm and private pontoons became ‘floating missiles’ as they sailed down the river. Armed with shovels and brooms, an army of volunteers came out for the clean-up. Queensland’s year of natural disaster was not over as North Queensland, including Cairns, was struck by category five ‘Cyclone Yasi’ in early February. The ‘history books’, however, may also tell a different story of history repeating itself in tragic and predictable fashion. Questionable planning decisions, dubious waterfront development and the alleged parsimony of the insurance industry were all upshots of the disaster. While reducing the flood by approximately forty percent, many were shocked that Wivenhoe could not stop the flood water. Following the dam operation manual, the necessity to release water to ensure integrity of the dam wall caused downstream flooding. This naturally raised questions of mis-management, not unlike J.B. Henderson’s prediction back in 1896. Since the nineteenth century, dredging, channel widening and the construction of two dams, Somerset and Wivenhoe, have significantly reduced the threat of floods in Brisbane. The establishment of river gauges, weather monitoring stations and telecommunication networks has also enabled the ability to better predict inundations. These activities have radically transformed the hydrology of the Brisbane River. They have also altered people’s relationship to the riparian zone. When Brisbane experiences its next ‘summer of sorrow’, innovative solutions and improvements will no doubt be made to existing flood mitigation schemes and climate modelling. But they have unforeseen effects as people have often failed to form tangible connections with the environment, so many do not understand the risks attached to life on the floodplain.